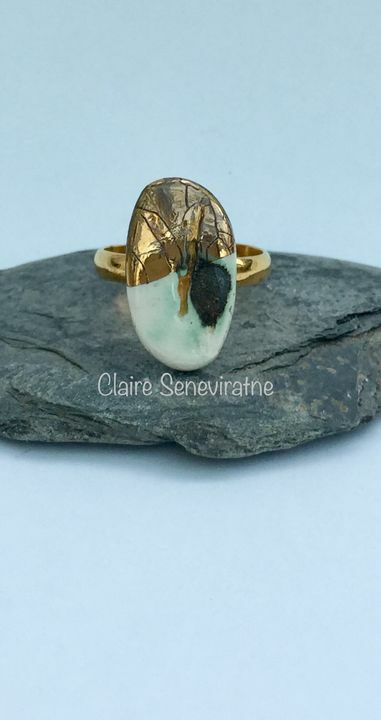 Claire Seneviratne - Ceramic Artist: Porcelain ring with gold. This ring has been modelled from porcelain, glazed and then fired in my electric kiln. I then added some copper carbonate and gold lustre and refired the porcelain stone. Once finished the porcelain stone was attached to an adjustable gold ring band. The band is gold plated. Height of the stone is 1.9cm.